For the Poster Monday spot of the day we have a poster from Selin Türkölmez Balkara from Istanbul, Turkey, for her poster “Hope”. Selin lives in Istanbul and studied Art Design Management at Yeditepe University, Faculty of Fine Arts. She worked as a Visual Manager within a graphic design department of a company and is currently studying in a graphic design master program. Selin also works as an academician at Yeditepe University in the Graphic Design Department. In the early days of 2017, more than 200 refugees have died drowning when crossing over the Mediterranean Sea between Turkey and Greece or freezing to death in deadly weather conditions. They cross the sea in makeshift boats which they hoped would bring them to safety. 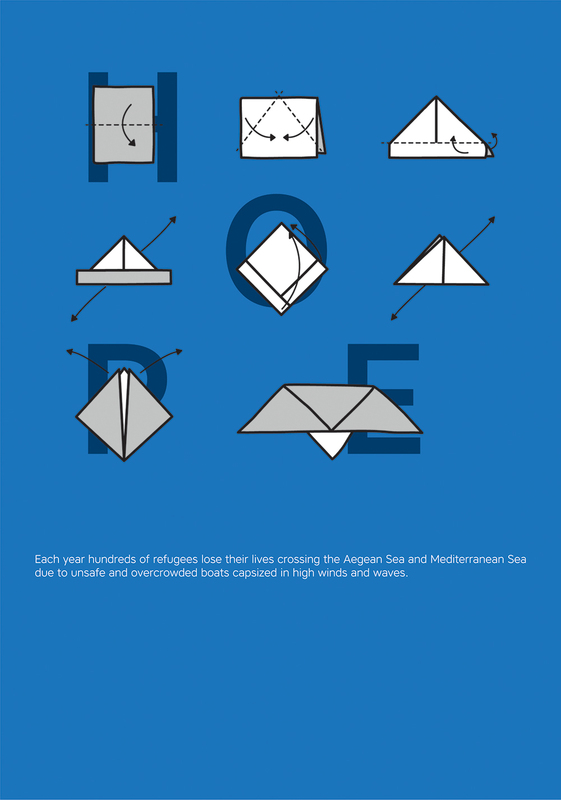 “Hope” was a reaction to the refugees who drowned because of the bad conditions of those boats. “As a graphic designer we always need to express our opinions and feelings in social events and try to draw attention to the events to make a change”, says Selin. If you would like to know more about Selin Türkölmez Balkara visit her instagram account. If you would like to submit a poster to be featured on Poster Mondays find all the info you need to participate on our submissions page. Shepard Fairey is a well known artist specially recognized by his HOPE poster for the Obama presidential campaign eight years ago. As a form of protest to President Trump’s inauguration day, Fairey decided to open his exhibition called “American Civics” in Los Angeles, California. 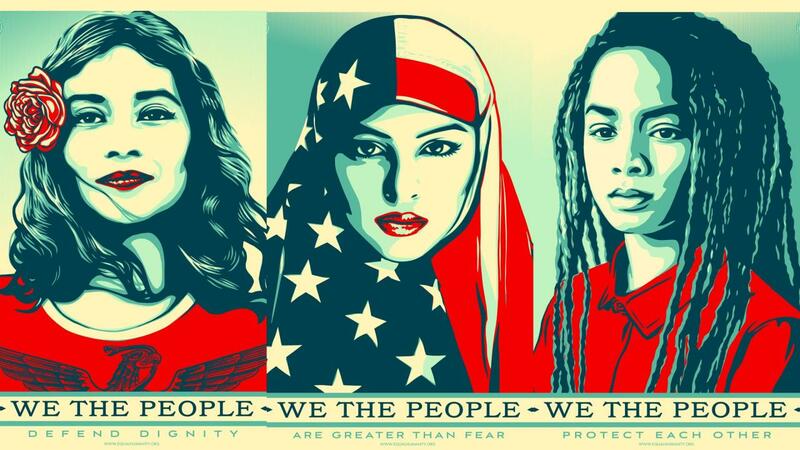 In it, he presented a series of posters entitled “We the people”, where he compilates his HOPE poster technique to create three images portraying different women: a Latina, a Muslim American, and an African American. The series was shown at the women’s march against Trump’s denigrating comments towards women as an opposition to Trump’s campaign where he stated his racism, sexism and Islamophobia believes. A great way to inspire and bring people together to fight for justice peacefully. “Art has the potential to break through predisposition because it affects people emotionally, and it catalyzes conversations that wouldn’t happen otherwise,” Fairey said.